Artificial intelligence-enhanced medical diagnostics developer Enlitic said today that it closed a $15 million Series B round. Enlitic is designing a platform that uses AI to develop algorithms to identify and analyze suspicious findings in medical images. The company’s first product is designed to interpret chest x-rays to triage normal from abnormal scans, and to detect and characterize more than 40 abnormalities. The round was led by Marubeni and joined by Capital Health as well as several top Australian investors, the San Francisco-based company said. Enlitic added that it has been working with Marubeni since 2017 to develop for the Japanese market, and that Capital Health previously led its Series A financing round. The company said that 10% of funding in the round was set aside for individual radiologists and other physicians who either trained or used the company’s medical AI solutions. “Closing this round is a significant advancement to help Enlitic achieve its ambitious strategy to make meaningful clinical products for radiology and the associated healthcare markets. This will allow Enlitic to scale production towards achieving AI models that cover the entire body, which will offer a significant impact to daily clinical workflows,” chief medical officer Dr. Anthony Upton said in a prepared statement. Funding from the rounds is slated for use in supporting and enhancing the company’s artificial intelligence product portfolio to expand engineering and data scientists team and to support regulatory approval for clinical use in the U.S., Australia, Japan, Europe, Canada and Brazil. “Radiologists have one of the hardest jobs in the world. They need to be able to identify thousands of different abnormalities in hundreds of different types of images. Even a single mistake can mean life or death, and yet they’re asked to read under tremendous time pressure in an environment full of distractions. Our Series B is a huge step toward helping them relieve this pressure and improve patient outcomes. We are incredibly grateful for the support of our partners, including Marubeni and Capitol Health, and look forward to continuing our work with them to build meaningful diagnostic solutions,” CEO Kevin Lyman said in a press release. The post Enlitic raises $15m in Series B appeared first on MassDevice. A group of researchers have created a malware program designed to exploit vulnerabilities in computed tomography and magnetic resonance imaging equipment to add realistic, malignant-seeming growths to scans in a bid to draw attention to vulnerabilities in medical equipment networks, according to a Washington Post report. Researchers Yisroel Mirsky, Yuval Elovici and two others at the University Cyber Security Research Center in Israel created the malware program for use in a blinded study involving real CT scans, according to the report. A total of 70 images were altered by the malware and were able to fool three skilled radiologists into misdiagnosing conditions “nearly every time,” according to the Washington Post. Radiologists examining the images with added cancerous nodules incorrectly diagnosed cancer 99% of the time, according to the report. For images with real cancerous nodules that were removed, radiologists judged the patients to be healthy 94% of the time. After being informed that the images were altered, the radiologists were given a second set of 20 scans, half of which were altered, according to the Washington Post. The radiologists still diagnosed fake nodules as cancerous 60% of the time, and did not detect the removed nodules 87% of the time. Researchers in the study also ran the test against a lung-cancer screening software tool and were able to trick the system into misdiagnosing the false tumors every time, according to the report. While the study focused on lung cancer scans only, researchers said that the attack could work for brain tumors, heart disease, blood clots, spinal injuries, bone fractures, ligament injuries and arthritis, according to the Washington Post. The malware could be used to modify random scans to create chaos within a hospital system, researchers said, or to target specific patients through the use of names or ID numbers, according to the report. The vulnerabilities that allow the exploit to occur exist in the equipment and networks hospitals use to transmit and store imaging data, according to the Washington Post. Since the images aren’t digitally signed or encrypted, they can be altered without detection, researchers said. “They’re very, very careful about privacy … if data is being shared with other hospitals or other doctors, because there are very strict rules about privacy and medical records. But what happens within the [hospital] system itself, which no regular person should have access to in general, they tend to be pretty lenient [about]. It’s not … that they don’t care. It’s just that their priorities are set elsewhere,” Mirsky said, according to the report. The malware program would have to be either physically installed or downloaded off the internet to operate, according to the Washington Post. To test the viability of a direct installation, Mirsky conducted a test at a hospital in Israel, and was able to enter a radiology department and connect a malicious device to the network in only 30 seconds without anyone questioning his authorization to be in the area. To prevent such attacks, Mirsky suggested that hospitals adopt end-to-end encryption across their picture archiving and communication systems and to digitally sign all images and make sure workstations verify the signatures and flag images that aren’t properly signed, according to the report. Endra Life Sciences today reported preliminary results from the first-in-man feasibility study of its Thermo Acoustic Enhanced Ultrasound System exploring its ability to measure and analyze liver fat. The TAEUS platform is designed to allow for the visualization of human tissue composition, function and temperature at a cheaper cost than computed tomography or magnetic resonance imaging and provided at the point-of-care, the Ann Arbor, Mich.-based company said. Preliminary data came from 25 subjects analyzed with the TAEUS platform as compared with quantitative MRI fat fraction measurements and other indicators including Body Mass Index and abdominal fat thickness as measured by traditional ultrasound. Results from the trial indicated that 21 subjects in the study had less than 6% liver fat fraction as assessed by MRI, classified in the healthy or normal range, while the other four subjects were found to have between 8% and 22.4% fat fraction, which is classified as mild non-alcoholic fatty liver disease. Study investigators said that the correlation between thermoacoustic measurements of Endra’s reference designed and the percent fat fraction as measured by MRI had an R2 of 0.61 with a standard error of the mean of 2.98%. Correlations between BMI with MRI fat fraction were only 0.19, while the correlation of abdominal fat thickness analyzed via ultrasound and MRI fat fraction was 0.31, the company said. Endra said that some subjects in the trial with ‘mild’ fatty liver based on MRI fat fraction had been incorrectly classified by conventional ultrasound assessment as either normal or severe, while the TAEUS measurements were closely aligned with MRI fat fraction analysis. ”We are pleased with the initial findings from our proprietary reference design and it is very encouraging to see a correlation to MRI on such a small group of subjects right out of the gate. We look forward to following up with additional findings in the months to come after we complete data collection on 50 subjects,” CEO Francois Michelon said in a prepared statement. Endra said that the next step of the feasibility study will look to add subjects that stratify the range of liver fat fraction seen in mild, moderate and severe fatty liver, adding that results from those subjects may vary significantly from initial data. ”In addition to the Robarts study, we plan to initiate several additional North American and European clinical studies in 2019 to build a strong base of clinical data to support our initial commercialization efforts in Europe, following an anticipated CE Mark,” CTO Michael Thornton said in a press release. The post Endra Life Sciences touts preliminary TAEUS liver fat analysis study data appeared first on MassDevice. Volpara Solutions said yesterday that it expanded its distribution agreement with GE Healthcare (NYSE:GE) to include the global distribution of its VolparaDensity software. Wellington, New Zealand-based Volpara said that its VolparaDensity software is designed to analyze mammograms using machine learning to provide automated, objective and volumetric breast density assessments and a breast density category that correlates to BI-RADS 5th and 5th editions. “There are still certain signs of breast cancer that are best seen on a mammogram, which is why the Invenia ABUS is used in addition to mammography. ABUS screening helps find cancers hiding in dense tissue. Accurate density measurements and quality imaging are very important in breast cancer detection. I encourage women to learn their breast density, understand their risk, and talk to their healthcare providers to get the personalized healthcare they need,” Dr. Joseph Russo of St. Luke’s University Health Network said in prepared remarks. “We are excited to expand access to VolparaDensity as part of our product portfolio. Now, our customers outside the US will also have access to a proven technology that will help them identify women who may benefit from a supplemental screening modality, such as the Invenia ABUS,” GE Healthcare automated breast ultrasound GM Luke Delaney said in a prepared statement. “We have had a very productive partnership with GE over the past several years. We are thrilled to expand our agreement beyond the US market, working with GE Healthcare to offer customers a well-researched and widely adopted breast density assessment tool to help them deliver excellent breast health care. Providing an accurate and consistent assessment of breast density is becoming increasingly important to identify women at high risk of developing breast cancer,” Volpara Solutions prez & CCO Mark Koeniguer said in a press release. The post Volpara expands distro deal with GE Healthcare appeared first on MassDevice. Royal Philips (NYSE:PHG) said this week that it acquired teleradiology platform developer Direct Radiology for an undisclosed amount. The Amsterdam-based company said that with the acquisition it will be expanding into the teleradiology services field, looking to build on its cloud-based radiology informatics portfolio. New features slated to be added include teleradiology viewing and reporting capabilities, on-call radiologist services and related exam workflow enhancement applications. Philips said that currently, Direct Radiology services more than 300 hospitals, imaging centers, mobile imaging services and doctors’ offices across the U.S.
“As health systems worldwide struggle with the ever increasing costs and shortage of care providers, teleradiology will be a key enabler to optimally use the available resources, and support radiology departments to improve the speed and accuracy of image interpretation. We see imaging as a system and deliver innovation to support the needs of all the people behind the images by seamlessly integrating technology and data. Our new teleradiology services address a pressing need, while providing a strong platform for Philips’ future growth in the telehealth market,” radiology solutions biz lead Sham Sokka said in a press release. Earlier this month, Philips released results from a study exploring the use of adaptive servo ventilation in treating patients with complex sleep apnea. The post Philips buys Direct Radiology appeared first on MassDevice. A U.S. Labor Dept. judge last week dismissed a suit the agency brought against Analogic over alleged pay discrimination. The Labor Dept. sued Analogic in October 2016, alleging that it paid female assembly workers at its Peabody, Mass., headquarters less than their male counterparts after a compliance review by its Office of Federal Contract Compliance Programs. In a March 22 decision, Administrative Law Judge Colleen Geraghty dismissed the case, ruling that the OFCCP failed to prove that the alleged discrimination took place. The office “failed to identify the employment practice causing the alleged pay disparity and Analogic successfully challenged the methodology and findings of OFCCP’s statistical evidence,” Geraghty wrote, noting the company’s successful challenge to an OFCCP expert’s statistical analysis with its own review of the numbers. In June 2018 Altaris Capital Partners closed a $1.1 billion buyout of Analogic after the imaging device maker’s prolonged search for a suitor. The post Analogic escapes Labor Dept. suit over alleged pay discrimination appeared first on MassDevice. The FDA today issued a proposed rule that would modernize mammography quality standards and require mammography facilities to provide more information to patients and healthcare providers. The proposed rule would be the first update in 20 years, amending regulations issued under the Mammography Quality Standards Act of 1992, which authorizes FDA oversight over mammography facilities, including their accreditation, certification, annual inspections and enforcement of standards. The new proposal could help patients and providers make more informed decisions regarding care, and boost the FDA’s regulatory power over the safety and quality of mammography services, the agency said. Adding specific language about breast density to the mammography results summary letter provided to patients and to the medical report sent to providers. Mammograms of breasts with a higher proportion of dense fibroglandular tissue compared to fatty tissue can be difficult to interpret because the dense tissue can obscure signs of breast cancer, lower the sensitivity of the image and increase the risk of developing breast cancer. Codifying three more categories for mammogram assessment, including one titled “known biopsy-proven malignancy,” which would help identify for health care professionals cases in which cancer that is being evaluated by mammography for therapy has already been identified. Adding more detailed information about the mammography facility to patient summaries and medical reports for caregivers to aid in post-exam communications. 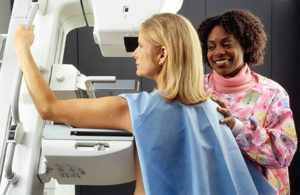 Expressly stating that the FDA can directly notify patients and their health care professionals, should facilities be unwilling or unable to do so, that mammography at a facility did not meet quality standards and that reevaluation or repeat of the mammogram at another certified facility may be needed. Requiring facilities to use only FDA-approved or -cleared digital accessory components for mammography, or that facilities use components that otherwise meet the requirements under the rule. According to the National Cancer Institute (NCI), approximately 12.4% of women will be diagnosed with breast cancer at some point during their lifetime. NCI estimates that, in 2018, more than 260,000 women were diagnosed with breast cancer and more than 40,920 women died of the disease. Aside from skin cancer, breast cancer is the most common cancer among women and the second leading cause of death. Mammography can also be an important tool in detecting male breast cancers. According to the NCI, breast cancer may occur in men at any age, but usually occurs in men between 60-70 years of age. The proposed rule may be found here and is available for public comment for 90 days from publication. The post FDA wants to update mammography standards appeared first on MassDevice. The newly cleared platform combines the CardioFlux magnetocardiograph with an integrated Faraday Analytical Cloud, the Mason, Ohio-based company said. Genetesis said that the CardioFlux uses a next-gen version of magnetocardiography that eliminates the need for liquid helium cooling, which had previously served as an obstacle to the wide-scale commercial adoption of MCG. Data from the CardioFlux is sent securely to the Faraday Analytical Cloud where it can be reviewed by physicians. “This milestone provides emergency room physicians and cardiologists with access to new technology to measure and visualize the magnetic fields produced by the heart’s natural electrical activity,” co-founder & CEO Peeyush Shrivastava said in prepared remarks. “These are major steps forward by the team at Genetesis. Achieving these clinical and commercial milestones enables delivery of an end-to-end medical device and cloud computing platform focused on improving patient care and reducing costs,” board chair John Rice said in a prepared release. The company said that it recently presented an investigational study using a prototype of the device at the American College Emergency Physicians 2018 Scientific Assembly. 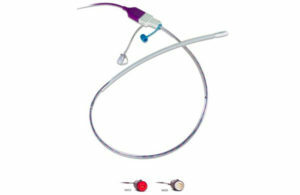 “Throughout the study it became evident that there is great potential for magnetocardiography and CardioFlux to positively impact the clinical workflow of patients presenting to the ED with chest pain or anginal equivalents, which represent nearly 10 million emergency room visits a year,” study presenter Dr. Margarita Pena of Ascension St. John Hospital said in a prepared statement. “Building on the initial investigational study at Ascension St. John Hospital, we see the value in magnetocardiography (MCG) along with the 20 years of clinical investigation on the use of MCG and the diagnosis of myocardial ischemia and coronary artery disease. Ascension St. John is now collaborating with several sites to launch the largest multi-center study using MCG, to date,” Dr. Edouard Daher of Ascension St. John Hospital said in a press release. The post FDA clears Genetesis’ CardioFlux biomagnetic cardiac imager appeared first on MassDevice. Varex Imaging (NSDQ:VREX) said yesterday it inked a deal to acquire linear array digital detector maker Direct Conversion for $84.6 million (EU €75 million). In the deal, Salt Lake City, Utah-based Varex said that it agreed to acquire at least 90% of the outstanding shares of Stockholm-based Direct Conversion, and that the $84.6 million price tag was for 100% of the company’s outstanding shares. Varex said that $11.3 million (EU €10 million) of the total offered in the deal will be paid in either Varex common stock or cash on the first anniversary of the closing. The company said it plans to fund the acquisition using available cash and debt under its existing credit facility. “We are excited to be joining Varex at this point in the growth and expansion of our digital detector array products. This transaction is expected to accelerate the adoption of this technology in the marketplace utilizing Varex’s position as one of the leading providers of digital detectors and its global distribution channels,” Direct Conversion CEO Spencer Gunn said in a press release. Last year, Direct Conversion reported sales of approximately $18.1 million (EU €16 million) and projected double-digit annual growth rates over the next five years. The company reportedly has more than $45.11 million (EU €40 million) in signed multi-year supply agreements. Varex said that it expects the deal to close by the end of the third quarter, and to be accretive to its adjusted EPS in its fiscal year 2020 and to generate a return on invested capital greater than its capital cost within three years. “Upon closing, this acquisition will expand our product portfolio to include new linear array digital detectors along with a revenue stream from these products for certain medical, dental and industrial applications. It is expected that the current applications will widen our addressable market for digital detector products by approximately $200 million over the coming years, with additional addressable market expansion potential of up to $500 million by replacing current CT detectors with photon counting technology in the future,” Varex CEO Sunny Sanyal said in a press release. Last month, Varex saw shares rise after it beat expectations on Wall Street with its fiscal year 2019 first quarter earnings. The post Varex Imaging to pay $85m for Direct Conversion appeared first on MassDevice.